We live in a time of instant messaging, 140-character "news" flashes and up-to-the-minute reporting. A time when so many with smart phones do stupid things to bring often less-than-newsworthy information to the masses. A time when newspapers keep getting thinner but our butts keep getting wider. Present company excepted, of course. And so the shutdown of my local paper is hardly newsworthy for most. But for me, the paper holds a soft spot. Over the 10 years hubby and I have lived here, I've been featured multiple times for various community events and my book launch. Hubby, a couple of times with curling. But it's the way the paper was forced to shut down that struck me. 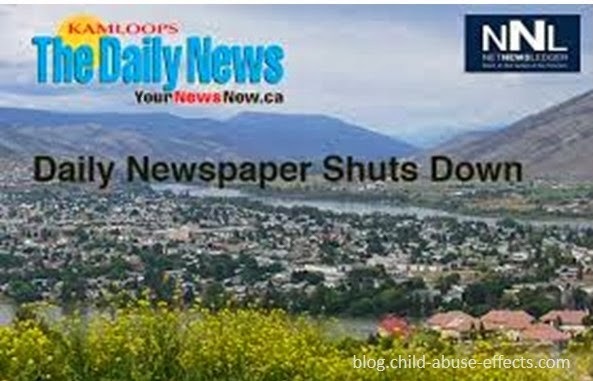 A week ago today, after 80 years of serving our community of about 99,000, the Kamloops Daily News announced they would be shutting their doors in 60 days. What happened next could have been predicted, I suppose. Advertisers immediately fled en masse to the twice-weekly "free" paper in order to garner prime advertising space. Carriers didn't show up for work. Subscribers cancelled their subscriptions in droves. They all bailed. Which meant the paper had to publish it's last edition 6, rather than 60 days later. Don't get me wrong. I don't blame anyone. I understand the reasoning behind all of the actions of everyone. The paper wanted to give lots of notice. Most likely because of union contracts. But perhaps for more altruistic reasons than many would believe. Perhaps in an effort to get a reprieve from actually shutting down and putting some 63 people of out work. The advertisers had businesses to run. Decisions had to be made in the best interest of those businesses. Including our agent, who immediately pulled her ads from the Thursday real estate section in order to be first in line to get a limited 2-page spread in our other paper. The carriers were probably concerned they wouldn't get paid for the work they'd already done, let alone for continuing to deliver papers. Subscribers...well, ditto to what the carriers may have thought. Especially those who had prepaid. After all, when the announcement came down, we weren't told if any of us who had prepaid our delivery would get our money back. We weren't told if the financial circumstances with the paper were dire. But let's face it, even if they had said something to the contrary, who would have believed it. Just so you know, hubby and I decided we wouldn't cancel our subscription. And we wouldn't hound the paper for a refund of the 3 months we had prepaid. We simply pictured the cheque in the mail, then put it out to the Universe. Then, on Friday, the paper announced that all who had prepaid would get a full refund. It'll just take a bit of time. We're good with that. So today is my first week day without our local paper. Without the Jumble puzzle to keep my brain young. Without Baby Blues and Garfield to give me a chuckle. Without the news around town and around the world to catch up on. All given way to a market that has evolved beyond the printing press. But I'll survive. Unlike the Kamloops Daily News itself. Goodbye to a community fixture. Goodbye to a paper that always treated me with dignity and respect in every story they printed about me. Thank you, Kamloops Daily News. You will be missed. 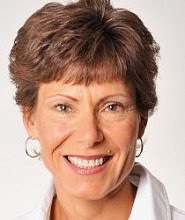 Perhaps the other paper (Kamloops this week) will evolve into a daily newspaper, they have already announced they are going to three times a week instead of two. For those of us old enough to remember the kamloops daily news did not start out as a weekly but evolved over time into a weekly. It started out as the Kamloops shopper in 1931, then the Kamloops advertiser in 1937, followed by,North Kamloops News advertiser (1965),it wasn't until 1982 that it went weekly. Oops meant to say Kamloops Daily news did not start out as a DAILY but evolved over time into a DAILY. Also it wasn't until 1982 it went DAILY. Thank you, Kamloops resident, for the added history. We'll see if the Kamloops This Week paper will turn into a daily. Whatever the decision, the business model will have to be different from that of the Daily News, otherwise it too is doomed to fail.